Yesterday, I had to do something I’ve never done before. I had to say goodbye to our dog, Dexter, and D Paul and I had to make the heartbreaking decision to put him down. Dexter was my first “baby”. 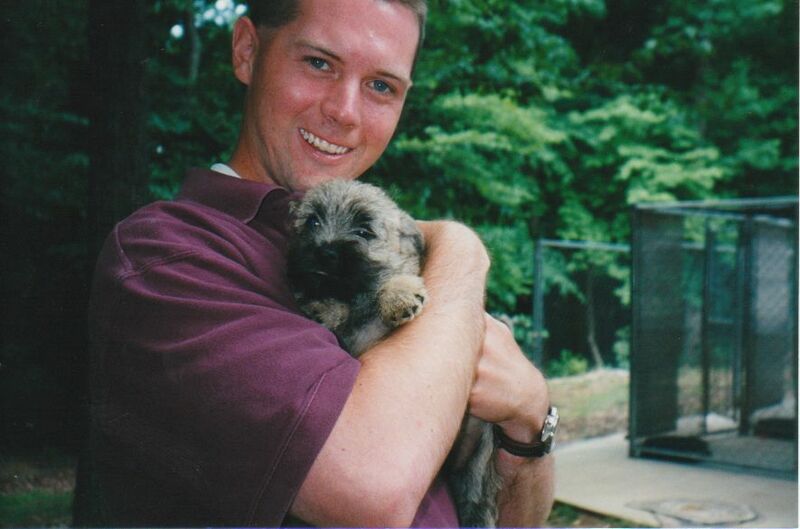 We got him as a 12 week old puppy soon after our second wedding anniversary. 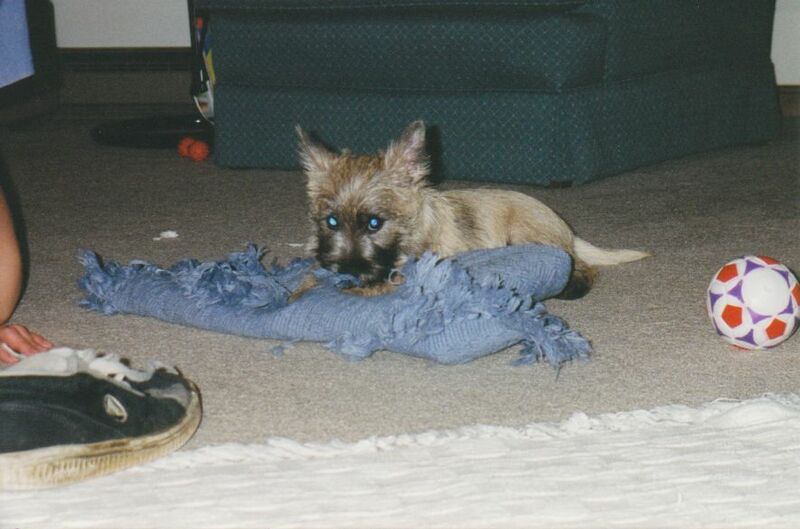 He was the cutest little thing, and we have a million photos of him playing, eating, taking flying leaps off of the concrete patio that used to be at my parents house. 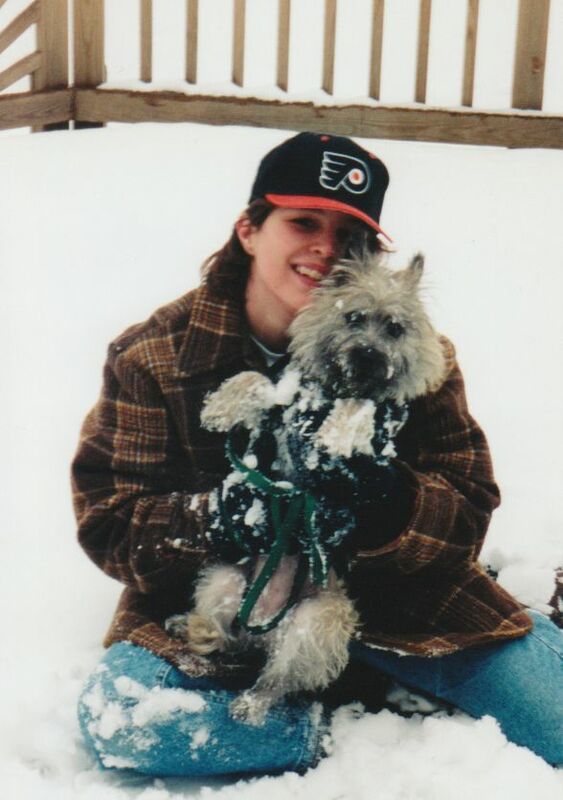 He had the typical terrier personality….stubborn, feisty, yet sweet. He was happiest when he was around people. He could dismantle a stuffed toy in under three minutes flat. Dexter had some “quirks”. If you flushed a toilet while he was around, watch out. Full alert barking. Doorbells also drove him crazy, even if they were on TV. The same thing happened in later years with the beeps of the washer and dryer. It got to the point that we would have to put him downstairs when we were running laundry. Otherwise, the barking would drive us all batty. He also loved to eat things that he shouldn’t, like the kids’ socks. Dexter was with us through the whole time that we were having difficulty getting pregnant. He would come sit with me on the sofa or bed after my fertility procedures. When Bear arrived, it threw poor Dexter’s little world for a loop. No longer was he the center of attention. However, he adapted (for the most part). She loved to have him sleep in her room at night, and if her bed wouldn’t be so high, I’m pretty sure they would have been snuggled up together. Then arrived the twins. Poor Dexter really didn’t know what to do at that point, and as the boys became more active, he was less thrilled by them falling into him, pulling on his ears, etc. He got less walks, out of a sheer lack of time. We noticed that he became a little more of a loner, and a little grouchier, but we assumed that was due to the fact that he was now in his “elderly” dog years. Dexter Dog’s final undoing appears to be liver cancer. When he got sick earlier this week, we assumed he had eaten something (like a sock). However, the xray showed nothing of that sort. As another 48 hours went by, our little buddy became sicker and sicker, and bloodwork revealed that his liver was not functioning well. It quickly became clear that we would have to say goodbye to him, and make the decision to end his suffering. I won’t lie. It was one of the most difficult things I’ve ever had to do. Don’t get me wrong, it was clear that it was the right decision. However, he’s been with us through most of our married life, and there are many, many happy memories that involve time with him. Losing him is a little like losing a piece of our history as a couple. Dexter, I hope you know how much you were loved, and that you are missed. I have a small, dog shaped hole in my heart that belongs to you. Oh, Jess, I am so sorry. I know how much you guys loved him. I remember how much research you did before you brought him home, making sure you guys were ready for such an energetic dog! And I remember Dex going to Grandma and Grandpa camp too (complete with photos of all his activities!). He will be missed. Hugs to you and the whole family. no more “clean up aisle 7” calls when the kids spill their food. Such a sweet dog. Grammy and Pop Pop are both saddened by Dexter’s passing. We always looked forward to his arrival in Pa. 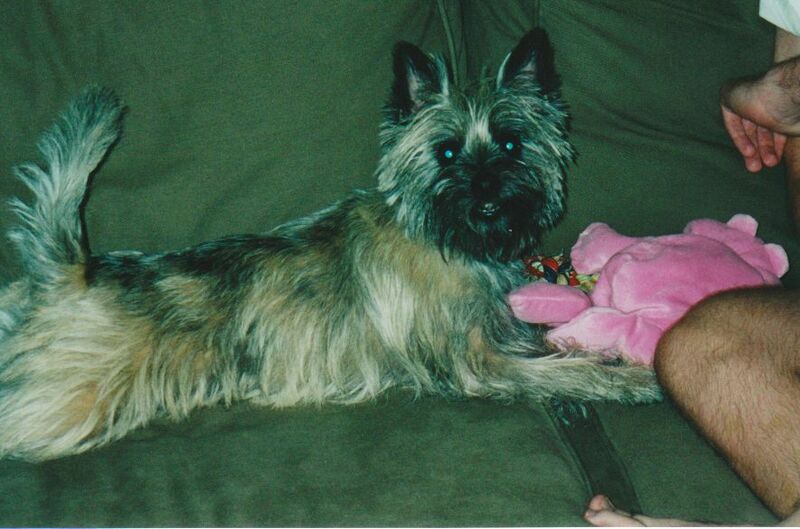 He was probably one of the biggest influences in convincing us that a dog would be a nice addition to our family. We’ve lost our little camper and my most appreciative comsumer of sugar cookies!